Send Mom the very best from a company you rely on for top-quality plants and superb service. Choose from gorgeous bouquets and gift plants, plus seasonal dried wreaths. We offer the convenience of mail-order as well as an ironclad guarantee: your complete satisfaction, or your money back. 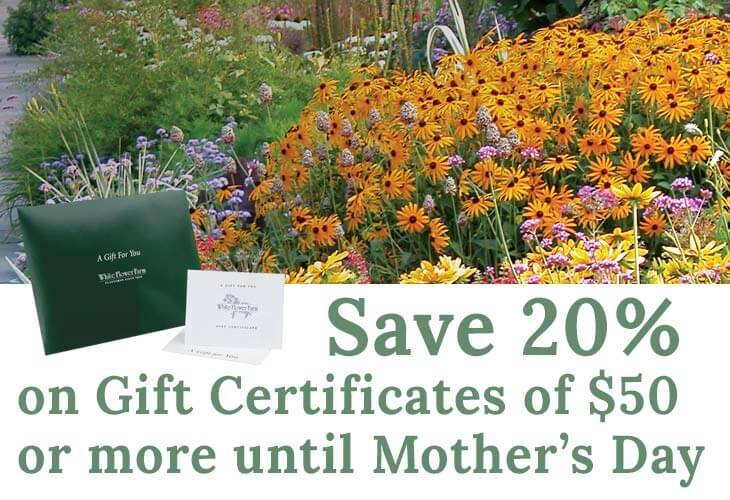 If you can't decide exactly what to buy, consider a White Flower Farm Gift Certificate. It makes the perfect gift, and Mom will be delighted! For questions, our customer service staff will be happy to assist you. Please call 1-800-503-9624. Click here to see Ordering Deadlines for Mother's Day.